Inicio » Noticias Goldcar » Four Must Sees in Pamplona – In the city of fiestas there’s so much more to see! 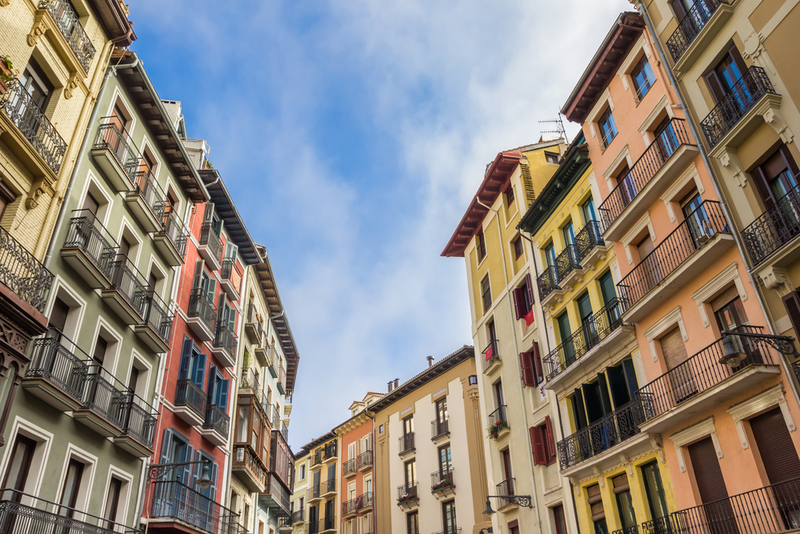 Four Must Sees in Pamplona – In the city of fiestas there’s so much more to see! Home to the famous ‘Running of the Bulls’ during the san Fermin festival, held in early July each summer, and also the adoptive home of Ernest Hemingway, Pamplona is a picturesque and peaceful party town, especially during the fiestas! 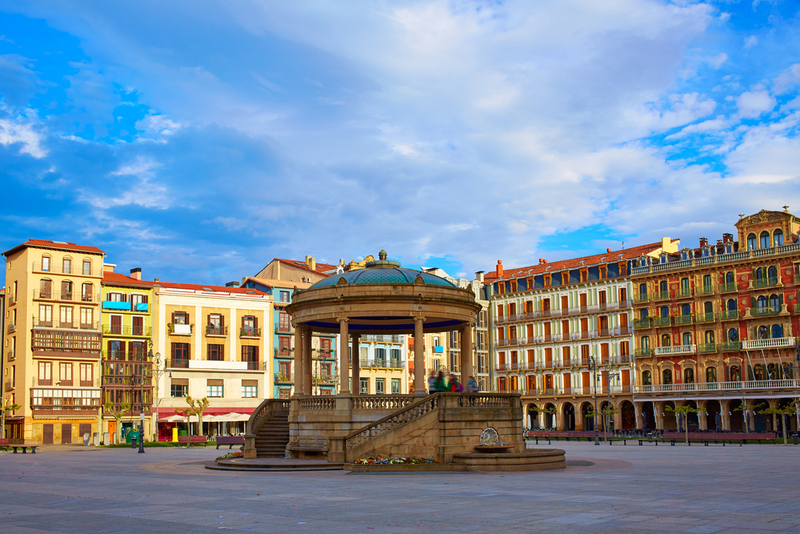 Though biggest city in the Navarra region, Pamplona has so much history and culture bursting through in its narrow streets it is well worth a day or two here just to see this magnificent place. So, where should you go? Here we’ve put together some paces to see, but there is so much to see we couldn’t have fitted it all on this page! This is where you’ll find most of the people, most of the time as Pamplona residents are proud to of their beautiful Old Town, Originally it was surrounded by a large defensive wall which you can still see evidence of today. With plenty of bars, restaurants and shops the paved streets make strolling the area a pleasure. The plaza is Pamplona’s main square and is full of bars and restaurants with cool shaded terraces and located where it is makes it the ideal spot to either begin your meanderings through the old town. For over hour hundred years, from the mid-15th century, the square was used as a bull ring and later for markets, music and fiestas. The Plaza del Castillo is just the perfect place to start or end a walk through the Old Town. Look out for Bar Txoko, the Café Irun and the Hotel La Perla which we’re al favourites of Hemmingway. Although much of the wall was destroyed when the city began growing in the early 20th century, originally Pamplona was a well-protected town surrounded by the city wall, and to this day you can still see some of the remains of it. Heads out from the interpretation Centre, and passes by the Santa Maria Cathedral, on its way to the Portal Nuevo – which also takes in the Navarre Museum, More information about the original city and the walls that guarded it can be found in the interpretation centre which is known as the “Fortín de San Bartolome,” and is at the junction of streets Arrieta and Arala. When you’re travelling you will always need a break, some time to relax and just take a rest as the world goes by, and this is the perfect place to do that. Dating back to 1830, the Taconera Park is said to be the oldest and most splendid park in Pamplona with its well-manicured gardens and colourful floral schemes. Head on in through the Saint Nicolas Gate, again a part of the history of the city as the gate was a part of the original city walls, and enjoy more history as you head down to the zoo. Next, the moats where you’ll discover a small zoological park at the lower end of Taconera Park, and there nature and wildlife will enhance your visit to this wonderfully peaceful park. As a market leader in holiday car hire, Goldcar is able to offer car rental at the very best prices. Promotions and offers are always available with Goldcar who specialise in car hire for the tourist. With the very best deals available to its customers, Goldcar continues to set the standard for holiday car hire throughout Europe. Four Must Sees in Pamplona - In the city of fiestas there’s so much more to see!